This is the most commonly used weathering technique out there, it can only be used for metal guns however, as it involves stripping off small amounts of paint, revealing the metal below. Buy yourself either some sandpaper (I used sandpaper graded 240), a file, or both. You could even buy two files- one for wood and one for metal. Using your sandpaper/ file, GENTLY rub over the surface of your gun, paying special attention to parts that stick up. Begin slowly; stopping frequently, so that you can see how much paint has been taken off. Once you’re happy, just stop! The key is to know when to stop; else your gun might just end up bright silver! This is a technique used to make a plastic gun look weathered, as you can’t use the sanding technique. You will need some metallic paint to do it, I personally think Games Workshop’s Boltgun Metal is perfect for the job, but if you have your own preference then use it! 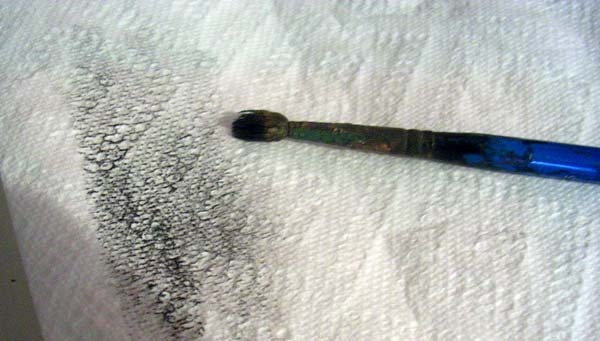 Dip your chosen brush into the paint, and then wipe off most of the paint on the brush off onto a paper towel. You need to wipe quite a lot off, so there’s almost none left on the brush itself. 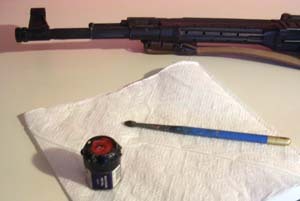 Now the brush is ready, gently go over the surface of your gun, you will start to notice the paint being left behind on the raised areas. Again, go slowly, build up layers and make sure you keep checking so that you know when to stop. You will be left with a similar finish to if you had sanded a metal gun. You will need to top up this coat of paint over time, as it gradually wears away. That said, I used mine twice a month for 4 months until I decided to apply another coat. I was shown this clever way to make the rear sight of the MP44 stand out and look a little more interesting. We are again going to use Games Workshop’s paint, this time Skull White. 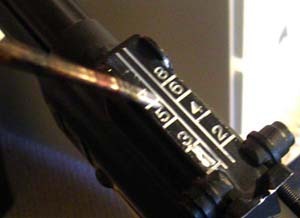 Simply cover the numbers and lines on the sight with the white paint, then, as soon as it’s on, take it off with an appropriate implement (I use my thumb). If the white paint has dried slightly on the sight, you could paint over parts of it with black paint. 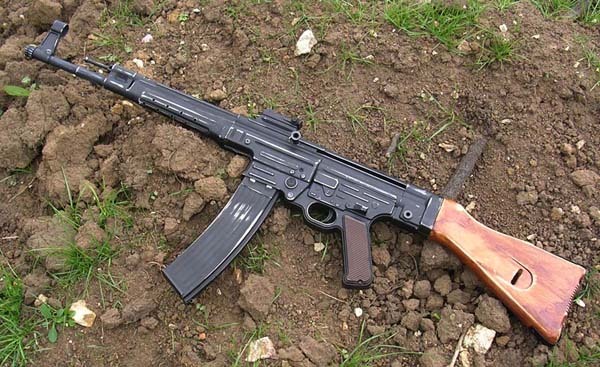 And that wraps up this guide on ‘pimping’ your WW2 rifle to make it look that little bit better. I hope it was in some way useful.